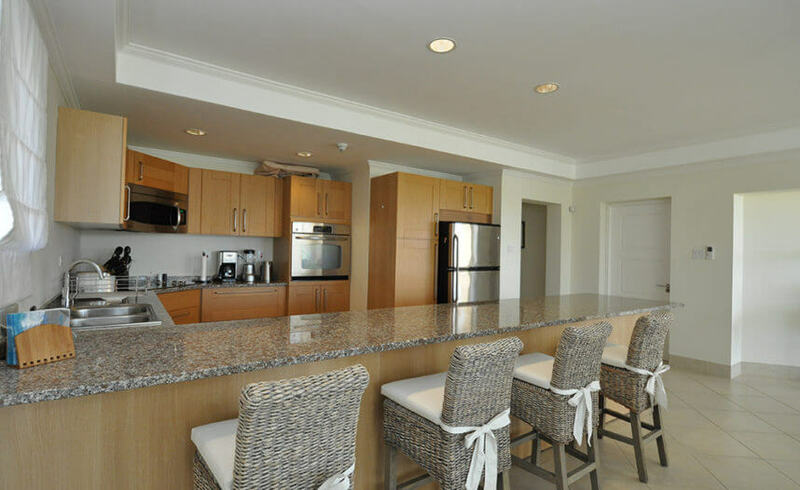 A stunning 3 bedroom, 3 bathroom beachfront holiday apartment on the second floor of the newly constructed Palm Beach condominiums. 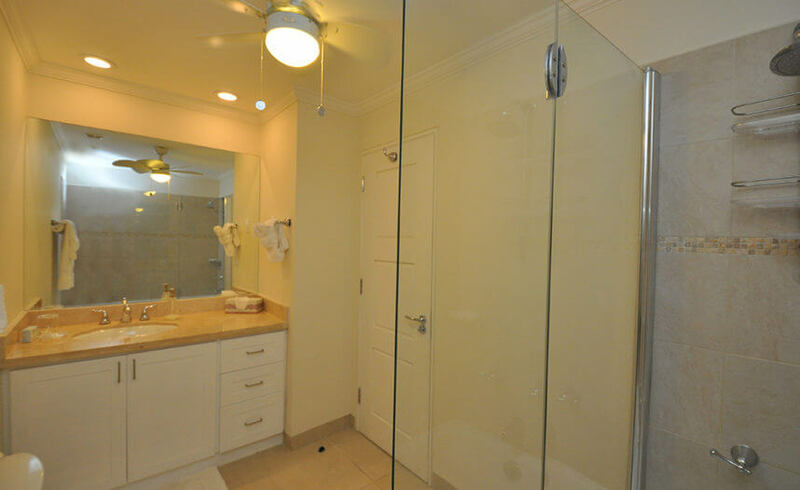 A spacious open plan layout & close to all amenities. This apartment has everything you need, combining indoor and outdoor living perfectly. Its by no surprise that the demand is so high for this unit. 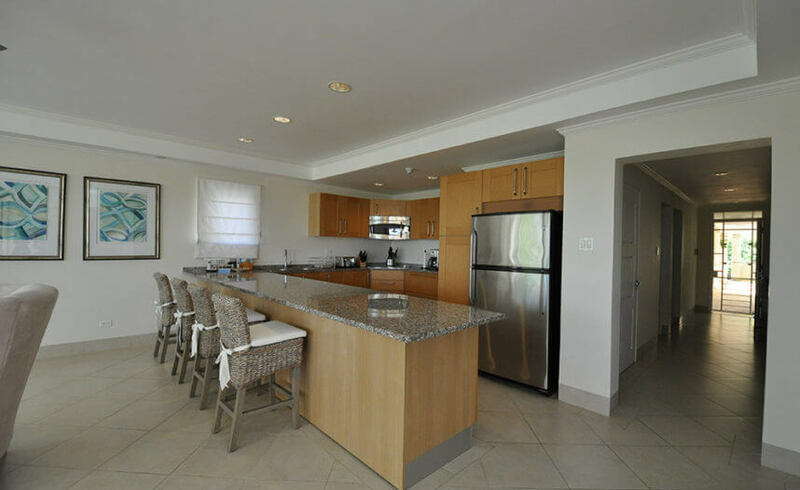 A second floor 3 bedroom, 3 bathroom self catering beach condo located in Hastings on the South Coast of Barbados. The spacious open plan kitchen area is well equipped with top of the range utilities and appliances finished off with the sleek granite worktops. 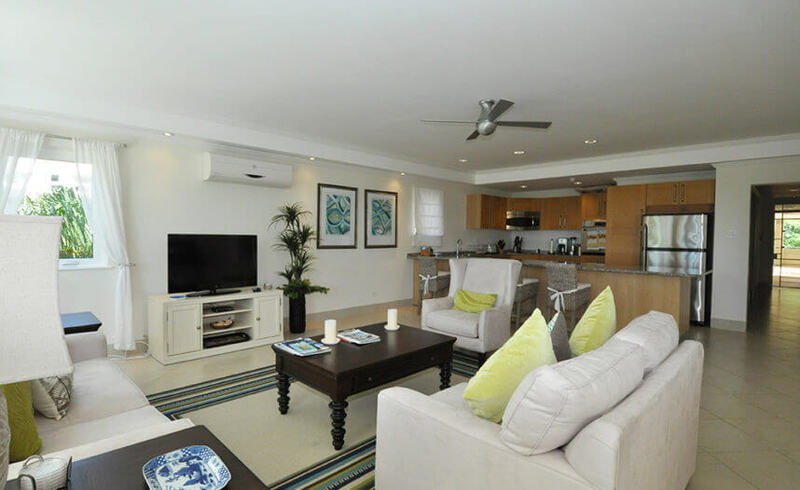 Beyond the kitchen is the open plan living area with comfortable seating centred around a large flat screen T.V. The living area then opens onto a spacious covered patio area with more comfortable seating and a more formal dining option. 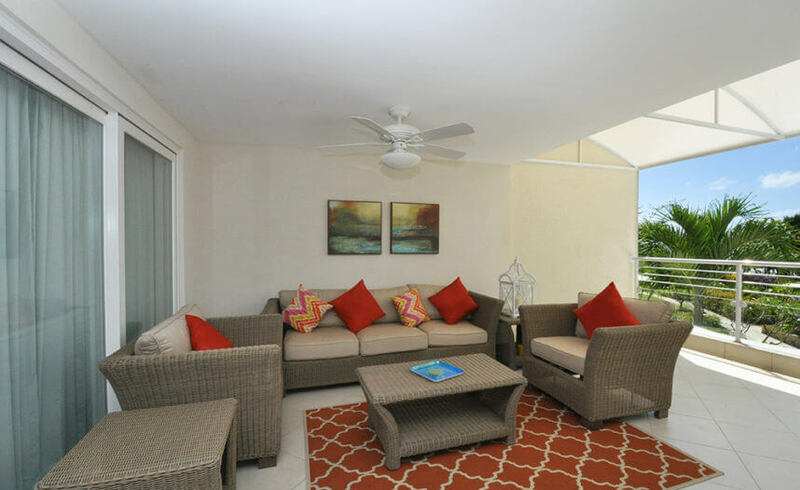 With views of the three tiered pool surrounded by the tropical gardens this stunning apartment really does make the most of caribbean living. 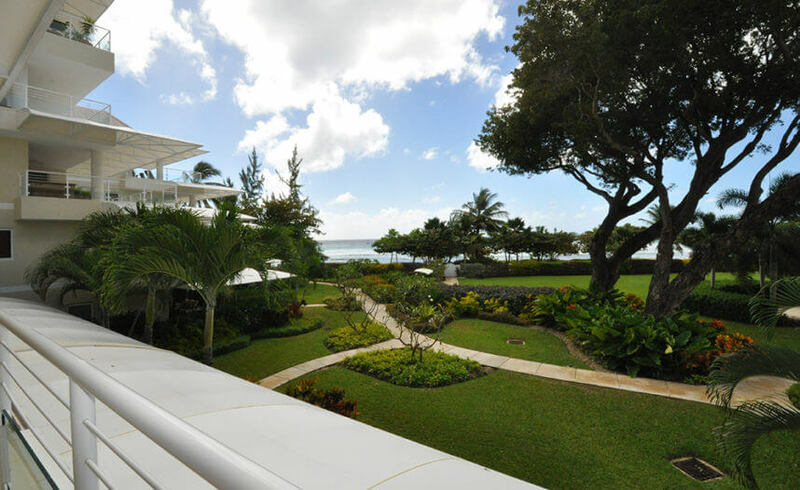 The Condominiums at Palm Beach, Hastings, Barbados. 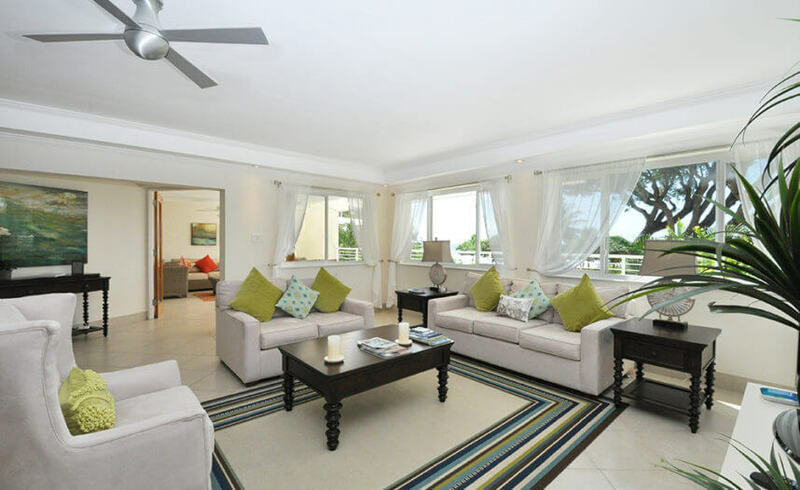 A spacious and airy holiday apartment with a sea view patio and swimming pool – perfect for entertaining and relaxing. 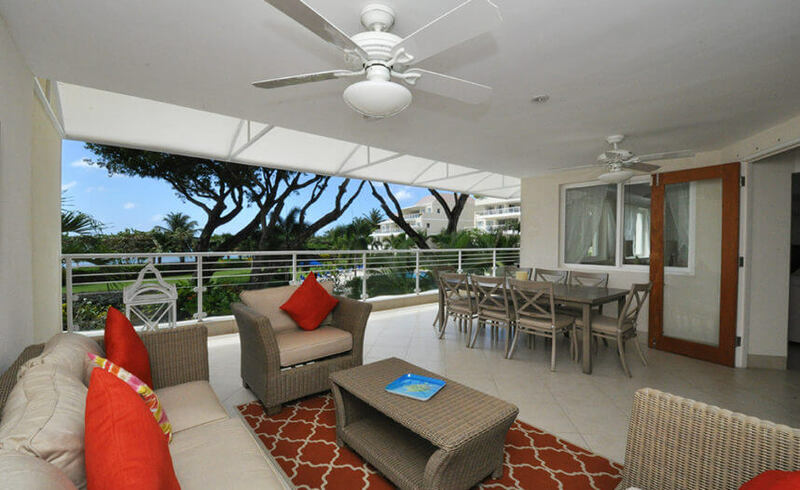 A South Coast self catering oceanfront condo with air-conditioning in all rooms, three en-suite bathrooms and the master bedroom boasts lovely sea views as well as access to the covered patio. 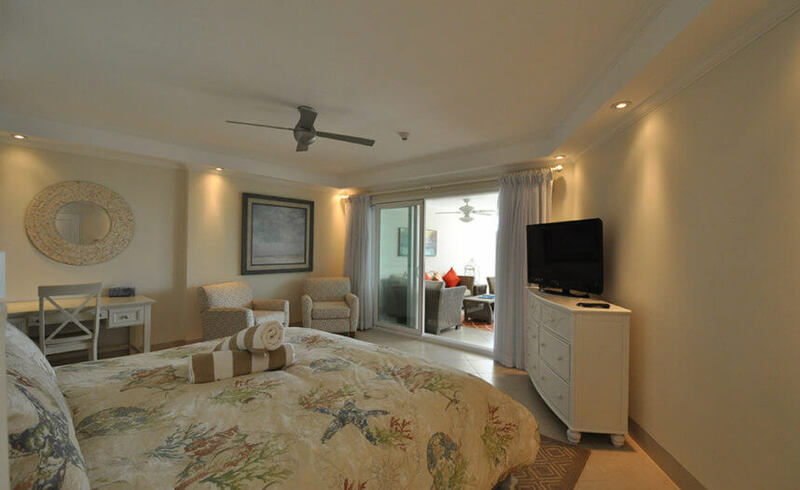 Waken each morning to superb views of the Caribbean Sea from the romantic master bedroom, complete with en suite bath. Third bedroom with two single beds, ensuite bathroom with shower. 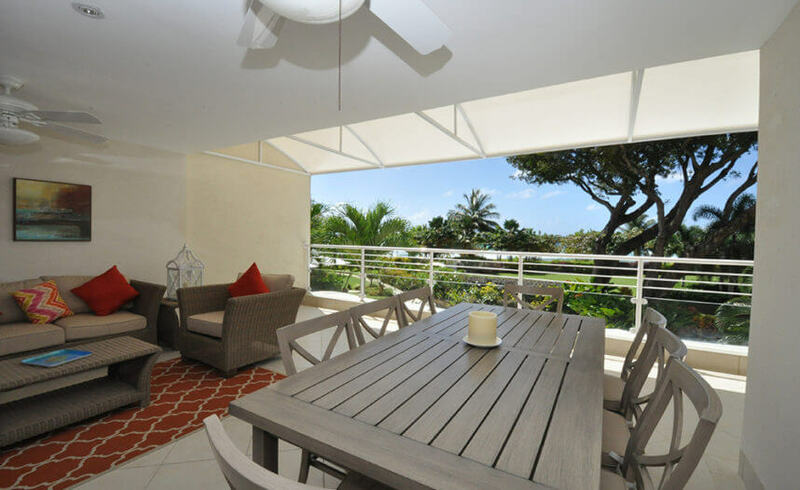 Private ocean view terrace with outdoor lounge area and dining. 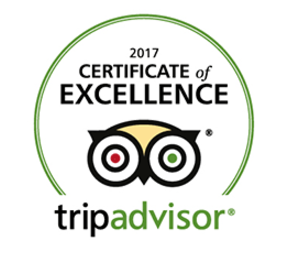 Professional management offering a great service. 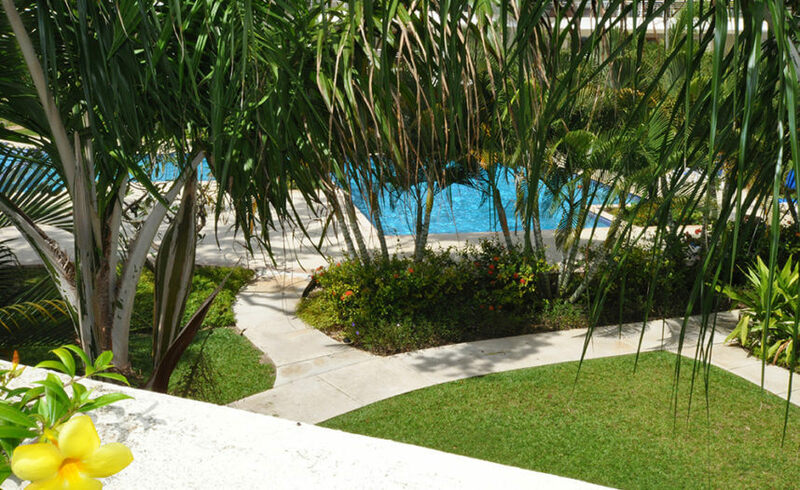 The grounds are spectacular and well maintained with a wonderful salt water pool. Apartment 204, is a tropical indoor/outdoor living at its best. 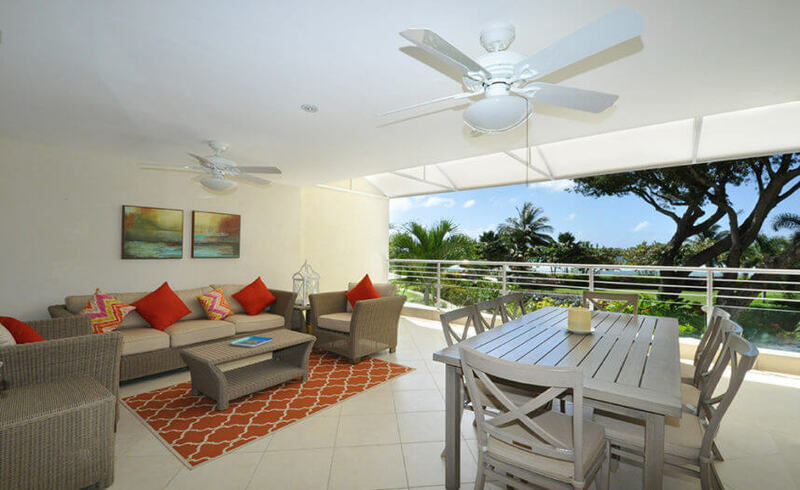 Everything you could possibly need for the perfect self catering holiday in Barbados is here in at Palm Beach Condos –Apt 204. Top of the range, fixtures, fittings, equipment and appliances. 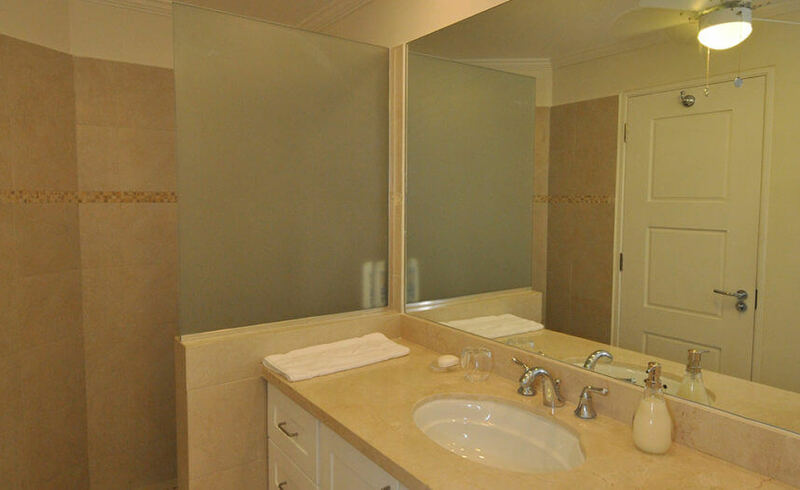 Tastefully decorated, spacious, open plan and modern in design. 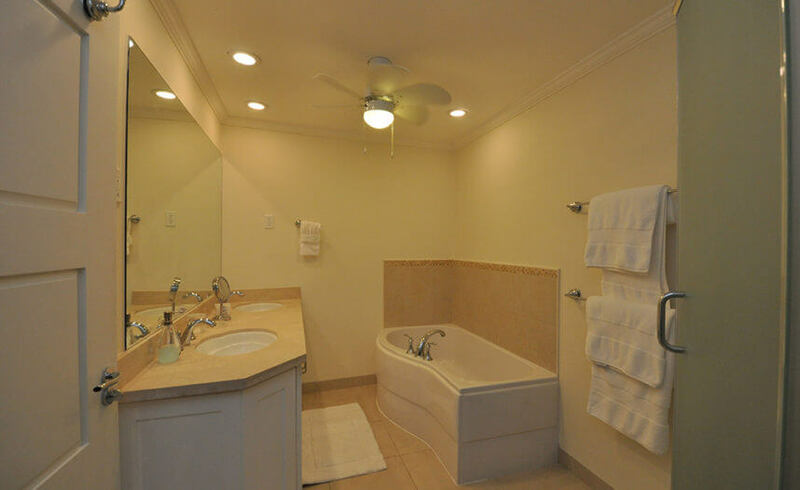 A plush and truly comfortable vacation rental. 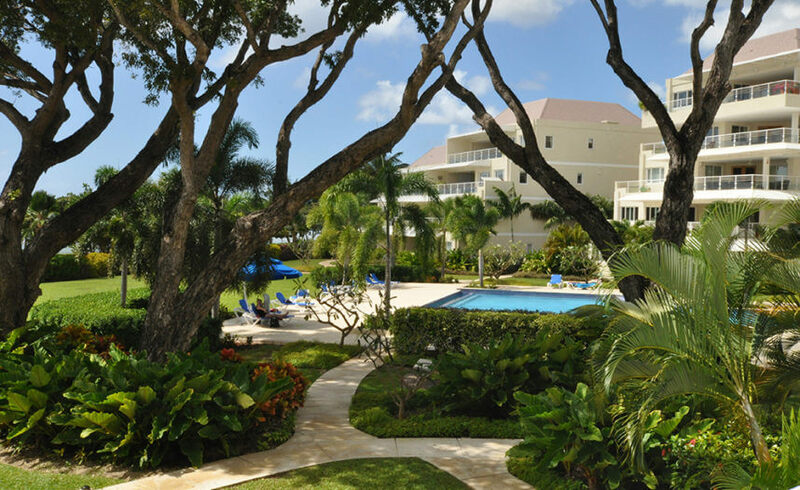 Apartment 204 is a second floor apartment holiday rental situated at The Condominiums @ Palm Beach in Christ Church, Hastings on the South Coast of the island of Barbados. Perfectly located for local transport where buses run every 2 mins. 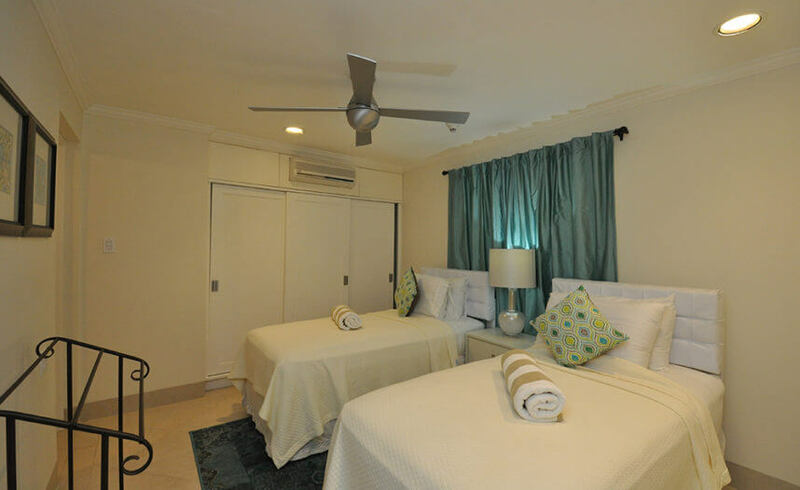 Within walking distance to a number of fantastic restaurants and Pebbles beach.